Four world-class soloists conspire to drum up the moon for this 74-minute long magic carpet ride of infectious grooves. 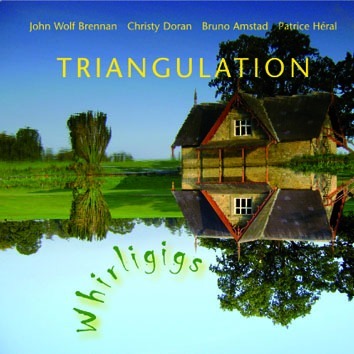 Christy Doran's seething guitars, Bruno Amstad's vocal acrobatics, Patrice Heral's incredible percussion wizardry and John Wolf Brennan's poetic piano pulsings are captured in a superb recording by this stellar Irish-Swiss-French band, creating an epitome of 21st century world music. This is what Weather Report could have become but never did.